Some reasons why plant-based diets may be effective include lowering methionine intake, inhibiting angiogenesis, intercepting carcinogens, and increasing fiber and antioxidants. Populations eating diets centered on whole plant foods have lower rates of cancer. 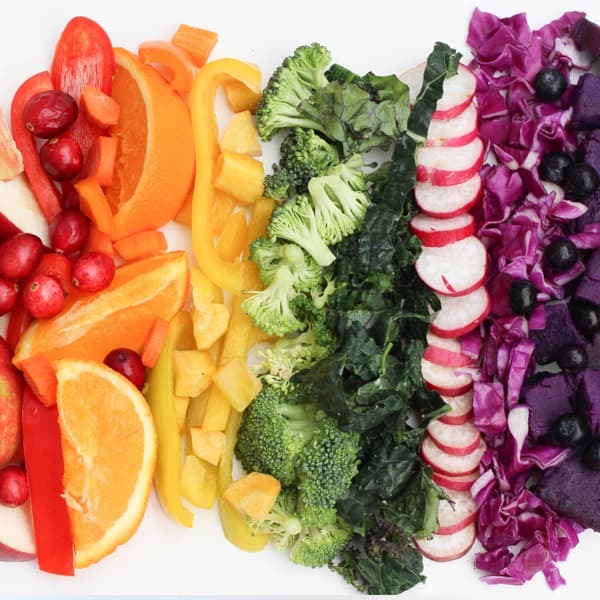 Eating lots of fruits and vegetables—at least 9 daily servings may boost detoxifying enzymes, lower inflammation, lower cholesterol, and make for healthier bowel movements, ridding the body of excess estrogen and cholesterol. Other lifestyle habits that appear to help prevent cancer include an hour of exercise every day, 7-hours sleep every night, and reduced exposure to tanning beds, cell-phone radiation, CT scans, and dental x-rays. Meditation may also improve DNA health, preventing premature shortening of our telomeres. It may be the inflammatory Neu5Gc molecule found in meat that accounts for some of the increased cancer risk. Certain tumors thrive in an inflammatory setting. The insulin-like growth factor (IGF-1) may also been linked to cancer. Heme iron found in the blood and muscle tissue of animal foods may also increase risk of cancer, as may the chemical pollutants in meat, which can lead to premature puberty, putting children at higher risk for cancer later in life. After a cancer diagnosis, cutting down on saturated animal fat appears to improve cancer survival. A neutropenic diet (one devoid of fresh fruit and vegetables) may not help those undergoing chemotherapy, but oatmeal lotion may help with chemotherapy induced rashes.